From its meager beginnings as a hobby project to its extreme success among geeks, Linux has survived lawsuits, boycotts and onslaughts from every corner of the UNIX, Windows and Mac computing markets. 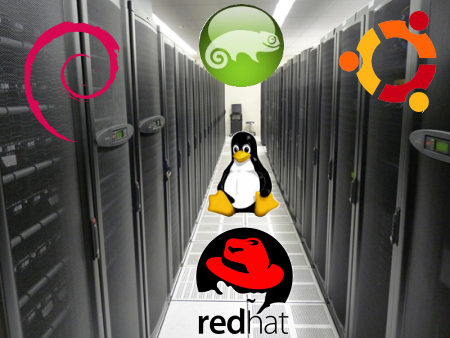 Linux has, in spite of its critics, made its way into the world’s data centers. Linux enjoyed early success as a host platform for the Apache web server but now has blossomed into a formidable contender for rack space. For an operating system, Linux has the best mixture of vendor neutrality, open source code base, stability, reliability, scalability and affordability. It also provides the user or administrator the choice of graphical user interfaces or none at all. Linux has one very significant advantage over all other operating systems: Hardware compatibility. It runs on a variety of hardware platforms from wristwatches to mainframes, although it’s most familiar playing field is on x86 metal. Two decades of community development and support have brought Linux into the mainstream as an enterprise-level operating system that’s competitive on every level of computing. Linux hosts workloads of all sizes and types: Web services, databases, applications, network services, file services, virtualization and cloud computing. With the notable exceptions of Microsoft’s Hyper-V and Solaris Zones, Linux-based virtualization solutions are the standard in contemporary data centers. And, the world’s largest cloud computing vendor, Amazon, uses Xen virtualization for its services. Though it’s rare outside of Internet Service Provider (ISP) realms, you can run “Zones” virtualization on Linux too. Zones, containers or jails are a popular method of securely compartmentalizing Linux applications from one another. ISPs use containers to separate users from one another on shared systems for shell access. It’s an effective and secure method of leveraging inexpensive hardware over dozens of users. Though Linux has a dedicated following, corporate buy-in and support from the world’s largest hardware and software vendors, there are still those who aren’t convinced. As late as mid-2011, I found several articles and commentary challenging the viability of Linux as a data center operating system. The problem with Linux adoption stems from a misunderstanding of the Linux support model. Linux, as a kernel, and generally as an operating system, is free. Free means its code is free to use, change and adapt to any purpose. Some refer to this freedom as open source. Open source does not necessarily mean free. Proprietary software can be open source but it isn’t free to change, rebrand, etc. Linux is free software and it’s also open source. It also means that Linux is free of charge. Vendors charge for media, consulting, support and a host of associated services but they usually do not charge for the Linux software itself. The very thing that makes Linux so desirable to geeks and those knowledgeable in the ways of free software is also the aspect that makes some company executives turn away from Linux as a data center operating system. Incorrectly, they assume that since something is free and doesn’t have strings attached that there must be something wrong with it. Dispelling myths associated with Linux use requires a lot of energy and time. But, there is one sure test for Linux data center viability: IT Services Support. Linux has support, financial and technical, from the biggest names in the IT industry. Each of these industry giants has its own Linux distribution preference but, whichever distribution you decide to use, you can purchase full support for it. You can purchase 24x7x365 support from a variety of sources, including directly from Linux distribution vendors. Every major IT services company supports Linux, Windows and commercial UNIX flavors as part of its portfolio. Linux is a mainstream operating system that carries workloads for every sized company in the world. Linux is no longer cute or niche. If you use any online web hosting services, web-based CRM software, databases, virtualization or cloud services, chances are greater than 90% that you’re using Linux behind the scenes for those services. Linux supports high availability, clustering, high-performance computing and a variety of hardware platforms. It also supports industry standard LDAP (Directory) services, large databases, journaling filesystems, SMP computing and major computer languages including an implementation of Microsoft’s .NET platform. Linux has its place in your data center doing the enterprise-level heavy lifting at a lower cost than comparable proprietary systems. The days of the monolithic, single operating system data centers are long gone. Heterogeneous networks, including Linux, are today’s standard fare. Linux as an Automation Host Has the World outgrown Commercial UNIX?